A zoo in Florida is charging $200 to allow visitors to swim with a baby tiger for 30 minutes - and forcing the tigers to stay in the water even when they want to get out. Sign this petition to demand that the zoo owners stop this cruel, selfish scheme. Being forced into a pool to swim with strangers is distressing for the tiger cubs, which were noted to be much too young to even be separated from their mothers, which leads to stress and fear for the baby that is then forced to encounter strangers. The cubs were witnessed crying while trying to climb out of the water while a handler prevented the escape. PETA investigated and documented a caretaker at the establishment as they "lowered a young tiger into a pool by the tiger's tail, pulled the tiger's tail in order to restrain it while it was in the pool, and pulled the young tiger out of the pool by the tiger’s right front leg." These activities are cruel and ridiculous. The USDA has filed a complaint against the zoo for mistreatment of animals, but the Dade City, Florida zoo responded saying "we are going to keep doing it until the Supreme Court or God comes down and says stop doing it." These animals need to be with their mothers, not be exploited for monetary gain as a form of entertainment. Help us send a message to "Wild Things" zoo demanding they immediately stop selling tickets to swim with tiger cubs. If enough of us speak out, we can convince the owners that the public doesn't want to see this kind of exploitation. Randy Stearns Communications Manager of Dade City’s Wild Things Zoo – Being that you are in the business of animal care, we strongly urge you to take more consideration about the health and welfare of your animals rather than just monetary gain. The activity of swimming with baby animals like the tiger cubs with zoo visitors is cruel and unethical for the animals. Majority of these animals should still be with their mothers and not thrown, forcibly into the water to engage in human interaction that causes them undue distress. The welfare of your animals should be an optimum concern. 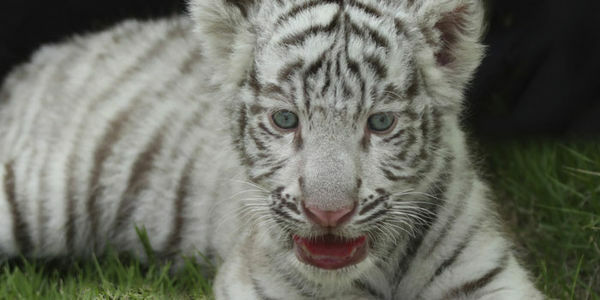 Ban the activity of swimming with baby tigers!! Good news! The USDA has ordered this zoo to end this exhibit and to pay a $21,000 fine. The zoo has until March 17th to appeal the decision. Keep sharing to be sure swimming with tigers ends!